Creating a garden that works for you and your property, while also adding long-lasting value, takes consideration. At 6 Salcombe Heights that’s exactly what the Pebbles team has done. 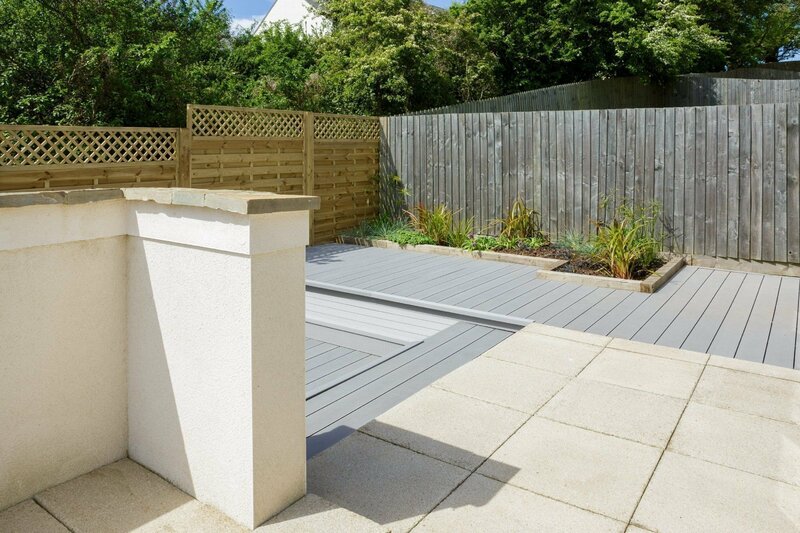 By opening up the space and making small changes to the landscaping of the garden, Gardens Manager George and his team have created a space that is easier to look after, keep clean and maintain at this holiday home in Salcombe. The original design of the garden meant that it was difficult to get out into the space from any part of the house thanks to a 20 metre long garden wall which ran its length. The first job was to remove the wall, which was about 400 metres wide, half a metre high and weighed around eight tonnes. 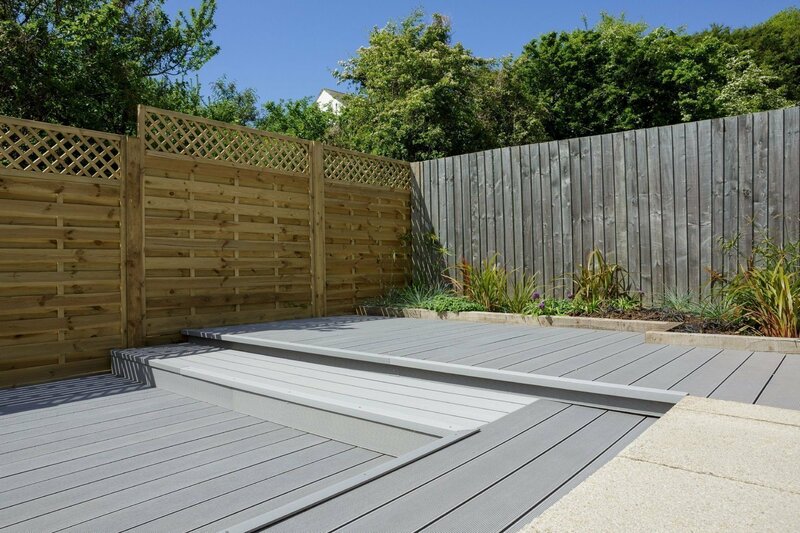 Having opened up the space, the team replaced two existing decks with a composite deck providing a more contemporary, safer, cleaner solution that adds value to the garden and property. Adding a path of Indian sandstone slabs down side of the side of the house and down the steps gave a clean and smarter finish to the garden, and they then added large curved steps from the patio onto the lawn for further accessibility with feature design. Whereas before property owners had to walk round the wall in order to get into the garden, now there is no obstruction so you can reach the outdoors from any point into the house onto the lawn. The goal was to open it up and create a sense of space that had been inhibited before. 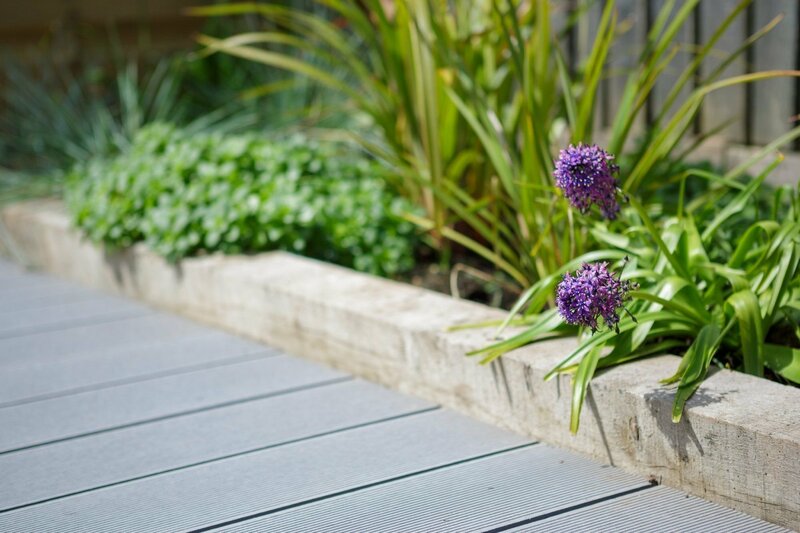 As a result the garden is much more useable, showing that it doesn’t take a major overhaul to make a big difference to a garden and the way it works with a property.